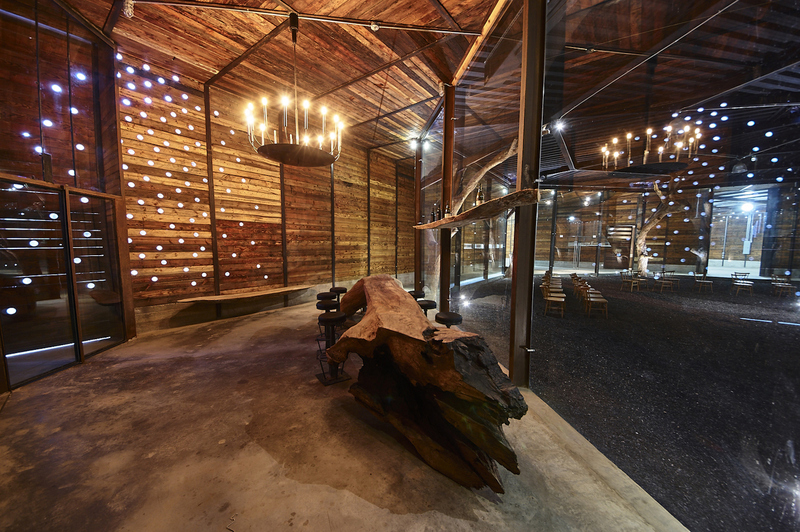 Recycled wood and steel are the primary materials used to construct the winery. 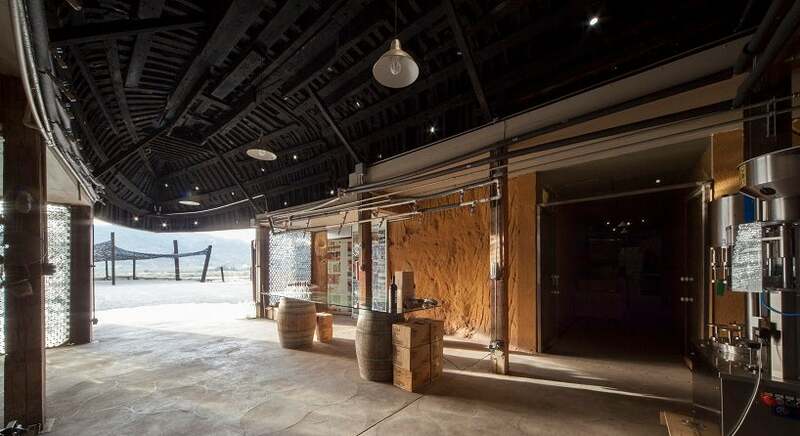 The timber slats are naturally weathered and are of varying shades to give the building an interesting and earthy texture and parts of the wooden walls are punctuated by small glass openings for beautiful effect. Pieces of natural unmilled wood are used as seating or decorative objects. 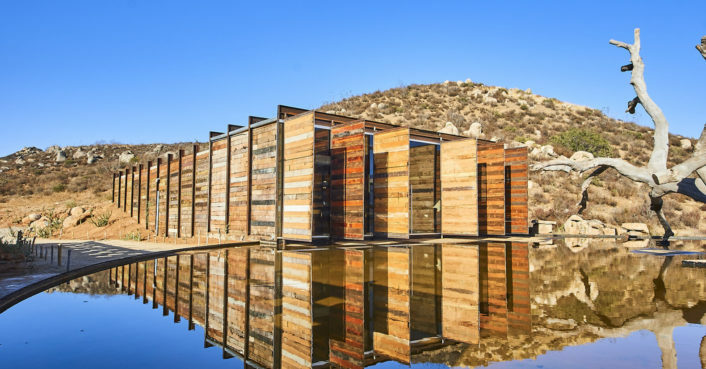 Despite its 22,000-square-meter size, the BRUMA winery visually disappears in the dusty red and green landscape of Valle de Guadalupe. The notion is inherently eco-conscious, upcycling structures that would otherwise be destroyed or left to the elements. But there’s also a notion of salvaging infrastructure so solid that it’s lasted years without help, sometimes relics but architectural marvels that have withstood the test of time. 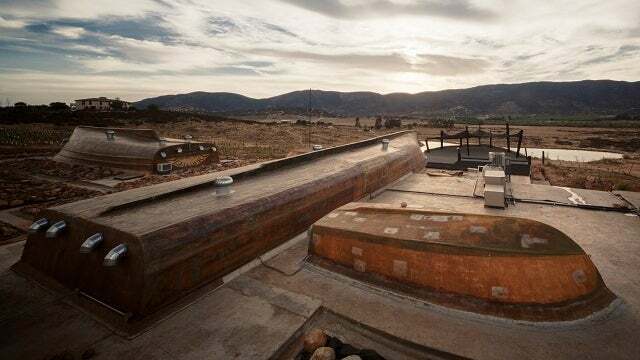 via PHOTOS: 12 Architectural Wonders and Spaces Reclaimed – weather.com. Inside, a stately limestone fireplace surround sits under a ceiling crossed by lightly white washed wood beams. Reclaimed walnut was used for the dark wood floors. Throughout the house are art pieces they have collected while traveling: Her folk and modern pieces and his classic and European-style works. The couple did not set out to receive LEED platinum, the highest level of environmentally responsible construction recognized by the U.S. Green Building Council. Their decisions of design, quality and efficiency, however, contributed to the outcome. via Retiring to a European vineyard estate in Dundee: Why leave the country? | OregonLive.com. 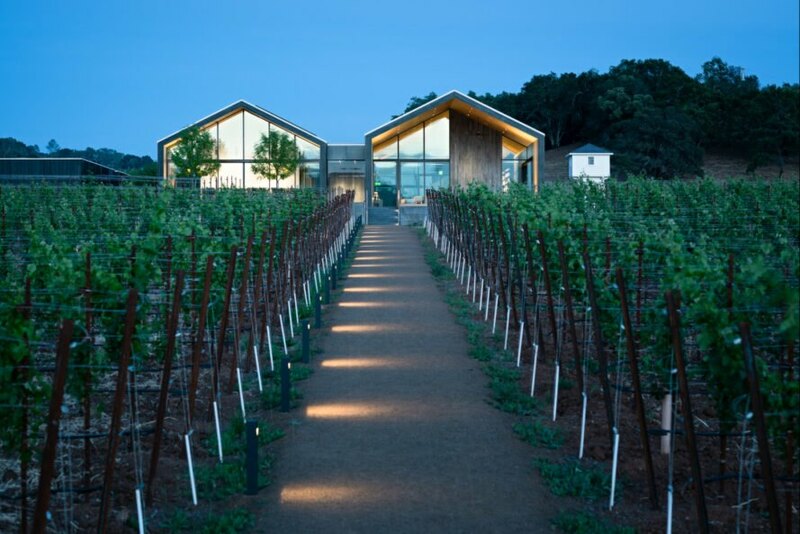 As California’s wine industry continues to grow, vintners are searching for suitable areas to grow grapes outside of the valleys and closer to the coast. But Spanish winemaker Artesa Vineyards and Winery is taking this quest too far with plans to destroy 154 acres of coastal redwoods and Douglas firs to make space for new grapevines. With one study indicating that areas suitable for vineyards in the world’s major wine-producing regions could shrink between 19 and 73 percent by 2050, it’s likely that the situation will get worse before it gets better. Contact Sierra Club’s Redwood Chapter to see how you can help stop this. via Spanish Winemaker Obtains Permission to Cut Down 154 Acres of California Redwoods | Inhabitat – Sustainable Design Innovation, Eco Architecture, Green Building.